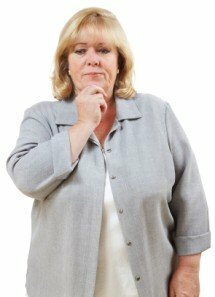 There are many potential causes of memory loss, but in this page I am going to deal with age related memory loss. Preventing memory loss can and should be part of your antiaging program, because memory is absolutely vital to a good quality of life! Aging results in a loss of memory over time. It tends to affect short term memory more than long term. Short term memory is that which is held for approximately 30 seconds or less. An example of this would be the ability to remember a telephone number you were given just long enough to dial it. Long term memory is of events of weeks, months, or years past, that get encoded differently than short term memory. These long term memories actually form neural connections and are often maintained for a lifetime. Normal aging does not generally destroy long term memory, however conditions like Alzheimer's disease or senile dementia can make it impossible for an older person to remember people they have known all their lives, although to some degree their short term memory remains. Please note: Natural remedies for memory loss only work on normal age related memory loss that don't really prevent you from living a normal life. Severe memory problems require the intervention of a trained medical professional. Inflammation – caused by food sensitivities, elevate blood sugar/insulin, ect. Notice anything? These causes represent a pattern and they are all related! Neuroendocrine decline (a failing nervous and hormonal system) is behind all of these causes. Natural remedies for memory loss can address these issues! Prevention is always easier than trying to treat the condition, especially memory loss. In this case both prevention and trying to alleviate age related memory loss involves using diet and supplementation to improve and preserve memory. Diet should be low glycemic, and contain plenty of high quality protein, good fats, and a smaller amount of quality carbohydrates. Eat for your blood type to minimize food sensitivity and inflammation. Eggs should be included if you can eat them, because they are a rich source of choline which is the precursor for the critical neurotransmitter acetylcholine. Natural remedies for memory loss should definitely include eggs! The only exercise NOT recommended is distance running or jogging. The reason is that long duration low intensity cardio exercise raises cortisol levels, which could worsen age related memory loss and have an adverse effect on your brain health in general. Exercise will depend on what you are capable of doing. Walking is really entry level exercise for those who can't do more than that. The best exercise for preventing memory loss would be interval training combined with strength training. 15 to 20 minutes 3 times a week is required for interval training. A good combination of strength training and interval training would be kettlebell circuits. There are many good books and DVD's on kettlebell training you can use as a guide. If you have a medical condition such as heart disease, seizures, or other serious illness, you need to get your doctor's clearance before you start any kind of vigorous exercise. Reducing stress is best done through exercise (if you are blood type O), or through some kind of meditation or music therapy such as Hemi-Sync, or H.P.P. Recordings. Some of these supplements for preventing memory loss should be used under the guidance of a medical professional such as an antiaging doctor. While supplements are generally safer than drugs, they are not without risk. Of these natural remedies for memory loss supplements one of the most effective is Glyceryl phosphoryl choline, or GPC choline for short. I have used GPC and found it excellent for boosting the efficiency of the nervous system. It is an excellent supplement for acetylcholine deficiency because it contains the precursor choline in a very bio-available form. I notice increased clarity of thought, better motivation, more strength in the gym, and much better muscle tone when using GPC choline. Bioidentical hormone therapy to restore testosterone levels and also levels of other critical hormones is a medical treatment. It's natural in terms of the hormones being identical to your body's natural hormones, but it IS a medical treatment. Biosignature modulation is another natural form of hormone modulation practiced by trained professionals. They are both effective, although somewhat different in application. Positive hormonal balance and optimization can help prevent age related memory loss and restore memory that has already be affected. These are all natural remedies for memory loss that don't involve drugs or other toxic approaches. They will work by preventing memory loss, and also preserve your overall brain health and mental abilities far into advanced age!